The compound is designed to restore the performance and extend the lifetime of Hydraulic Drive Systems of motor transport and special machinery. 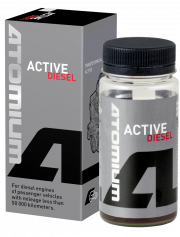 The compound is designed to protect against wear, increase the engine lifetime and recovery characteristics of diesel engines during regular operation. 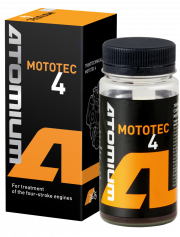 Tribotechnical compound «MOTOTEC 4" produced by ATOMIUM is designed to restore the performance and protect against wear the four-stroke engines of motorcycles, snowmobiles, ATVs and other motor vehicles. The compound is designed to restore the performance and protect against wear the two-stroke engines of mopeds, all-terrain vehicles (quad bikes), outboard motors, chainsaws and other equipment, including engines with separate lubrication system. 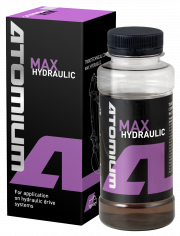 The compound is designed to restore the performance and extend the lifetime of hydraulic power steering. 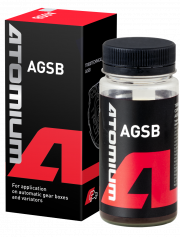 Compound « Atomium AGSB» is designed to protect against wear, extend the life and restore characteristics of automatic gear boxes and variators of any type with any type of transmission oil. The compound is designed to protect against wear, extend the lifetime and restore characteristics of mechanical gear boxes of passenger vehicles, including robotic gear boxes of any constructions. Compound Reducer is designed for protection against wear, increasing the lifetime and restoration of characteristics of transfer cases, differentials and other reducers in passenger vehicles and light trucks. 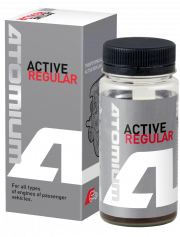 The compound is designed to protect against wear and maintain the performance of diesel, gasoline and LPG engines of passenger vehicles, pretreated with compound «Atomium» of «Active» series. 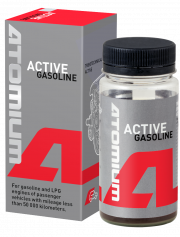 The compound is designed to protect against wear and maintain the performance of gasoline and gas engines of passenger vehicles with mileage more than 50 000 kilometers. It can be used for forced and turbocharged engines. The compound is designed to protect against wear and maintain the performance of gasoline and gas engines of passenger vehicles with mileage less than 50 000 kilometers. It can be used for forced and turbocharged engines. The compound is designed to protect against wear and maintain the performance of diesel engines of passenger vehicles with mileage more than 50 000 kilometers. It can be used for forced and turbocharged engines. 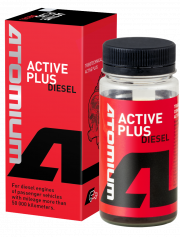 The compound is designed to protect against wear and maintain the performance of diesel engines of passenger vehicles with mileage less than 50 000 kilometers. 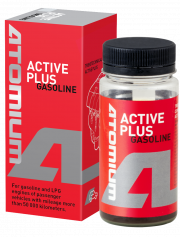 It can be used for forced and turbocharged engines.